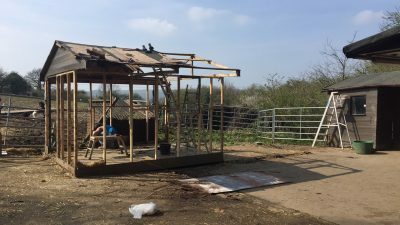 Posted by Jon in News on Sunday 07/04/2019 11:37 UTC. You may have noticed that we are not hosting a Spring Open Day this years, we are thou hosting a fundraiser at Brinsley Community Centre on 2 June. 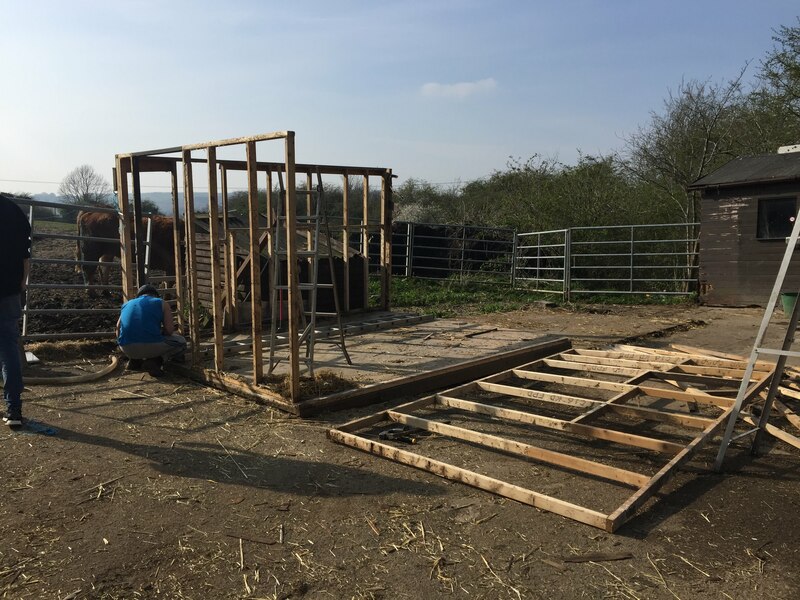 Our next open day at the Sanctuary is not until 8 September, this is due to a major building project at the sanctuary which has now started. The stable block is being replaced and improved, currently its showing its age and struggling to cope with the onslaught of bulls scratching themselves on the sides! 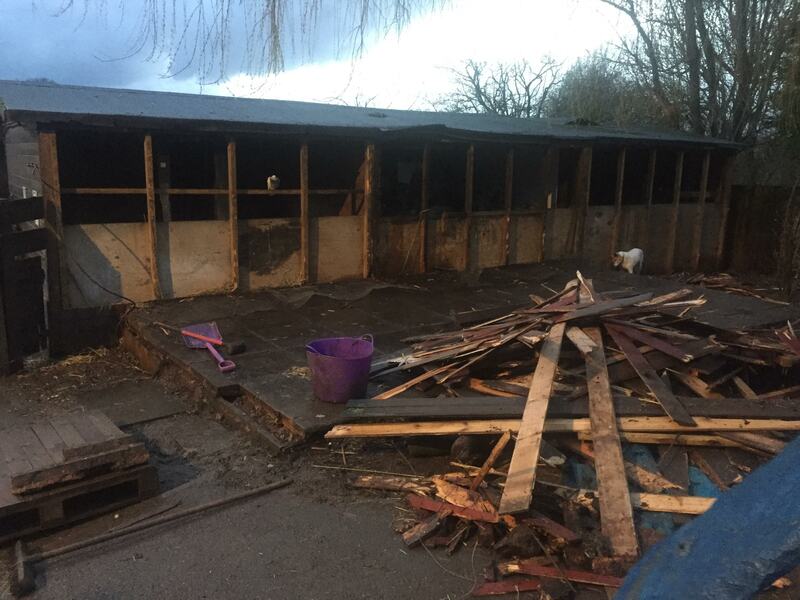 The block is now being demolished and a new stable block complete with a large store and workshop will be built out of reclaimed bricks. This will be bull proof, even Boris proof! 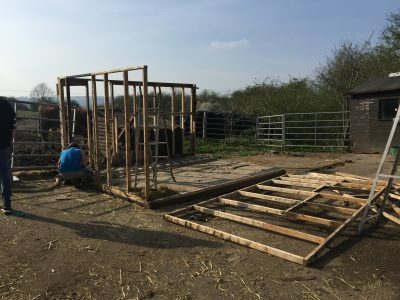 As the land and buildings are owned by us (Jon and Beth) ond provided to the charity free of charge, its is also us, not the charity, that will be financing the project. 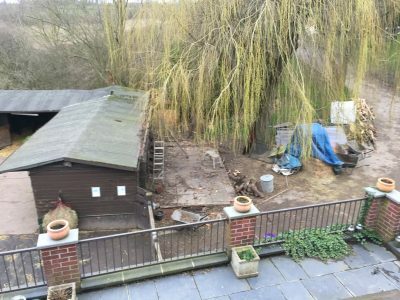 If you feel you can offer any help at all we would be grateful, we are looking for building materials, in particular reclaimed imperial bricks as well as 4 & 6 inch concrete blocks. 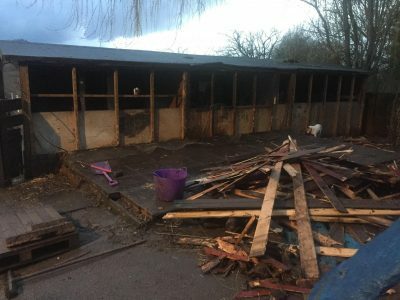 Ths new stable block will allow us to have much improved and larger facilities that will last decades and decades, providing dry and warm shelter for our rescued animals, a store for animal feed and a workshop for the maintenance of charity equipment.